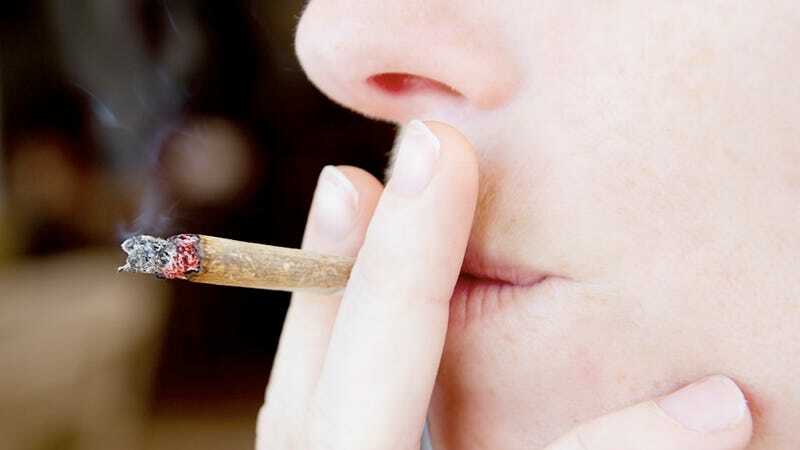 Smoking a lot of weed in adolescence turns burgeoning human people into shiftless idiots, in so many words, according to the findings from a 20-year study of 1,000 people in New Zealand. Researchers gathered from every corner of the globe to figure out how cannabis use — that's science for "smoking a bowl" — affected the pre-18-year-old brain, and discovered that teenagers using marijuana regularly can expect a more dramatic depletion of precious brain juices later in life. The study tracked a large group of people from Dunedin in New Zealand, assessing them first as children, before even the most precocious of them had become stoners, and then interviewing repeatedly until age 38, when all of life's sundry disappointments become suddenly clear and irrevocable. Researchers accounted for other substance use such as alcohol consumption, tobacco dependency or other, way more exotic and cosmopolitan drug use, and found that those study participants who regularly smoked weed before they turned 18 suffered a significant decline in IQ. Regular users exhibited an average eight-point IQ decline, which was irreversible whether someone stopped using cannabis or not. Persistent cannabis use over 20 years was associated with neuropsychological decline, and greater decline was evident for more persistent users. Collectively, these findings are consistent with speculation that cannabis use in adolescence, when the brain is undergoing critical development, may have neurotoxic effects. This is obviously a huge bummer, not just for all the high-school stoners of the world, but also for our idea of cool movie stoners like Dazed and Confused's Slater, who I always thought would go on, ironically, to be some kind of brilliant attorney or physician. I guess the joke's on me, then, but maybe also on the scientists that spent so much time confirming a popular prejudice against high school stoners, i.e. that they're unambitious, dimwitted and, in most cases, fail to live up to their potential. Don't worry, though — the study, though pretty comprehensive according to researchers who have the uncanny ability to pat themselves on the back, is by no means conclusive since researchers didn't look at everyone everywhere in the world. Until then, we can all be reasonably skeptical about these findings.